When former Budweiser executive Tom Magee said on Feb. 7 that the marijuana industry will be "way, way, way, way bigger" than the craft beer industry, he wasn't exaggerating. In 2017, legal marijuana sales in North America clocked in at $10 billion. By 2021, that's expected to skyrocket 145%, to $24.5 billion. You see, much like marijuana, craft beer was a niche industry that turned into a thriving market. Back in 2012, there were 2,420 U.S. craft breweries. As of 2017, there are now a total of 6,266 U.S. craft breweries, according to BrewersAssociation.org. But as craft beer sales nearly doubled from 2012 to 2016, investors couldn't get in on the action very easily. Your local brewer down the street just isn't listed on the Nasdaq, NYSE, or over-the-counter markets. That's not the case in the cannabis industry. Right now, 30 states and the District of Columbia have legalized some form of medical marijuana, and eight states also have legalized recreational marijuana. It's just a matter of "when," not "if," medical marijuana is legalized across the country. After all medical use is legalized, recreational legalization won't be far behind. 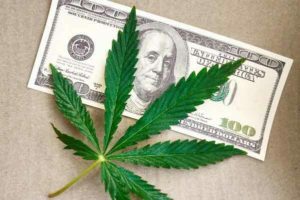 That's why, before the industry really takes off and reaches $24.5 billion in sales, savvy investors are purchasing their tickets for the cannabis gold rush. which stocks you recommend I buy. I agree, it's always another comeon to pay for the lead. could afford a few shares. stocks. Reason… you don't know what you are getting. end of the year (no thanks to Barron's). that you could buy it last week for 19 cents. be for the next year or so. All the best and good investing.